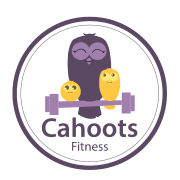 We are excited to launch small group personal training at Cahoots Fitness! We're blending personal instruction and attention with a small group format to make the experience affordable and to increase accountability and build community among great women. Two group formats are available - Weight Loss and Get Me Toned. Please pre-register by October 5, 2018 using the link below (it takes 90 seconds!) and we will contact you to finalize the registration and process payment. Are you looking to increase your muscle tone? Are you exercising at least 3 times a week, are at or are close to your ideal weight, but aren’t seeing the toned results that you want? Supplement your group exercise classes with this group personal training to help you get specific direction on how to reach your own personal fitness goals. BE STRONG! Work hard, get results! Take a leap forward in your level of fitness! Are you looking to get started on a weight loss program? Are you ready, but you don’t know where to start? Do you feel a bit uncomfortable attending group fitness classes because your fitness level isn’t quite where you want it to be? This group personal training session is just for you! Achieve your goals! Work hard, see results! Live the healthy life you were meant to live!